» Click here to watch an introductory video to the new CountyCat. » Click here to learn about requesting materials and using the book cart. » Click here to get a tour of the patron record. » Click here to learn how to check out OverDrive materials in the catalog. » For printed instructions, click the link here or see the Help screens for further information. 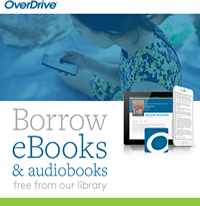 » Click here for instructions on checking out OverDrive E-Books and E-Audiobooks in Countycat. Home | Locations and Hours | New Search | Help WebPAC PRO © Innovative Interfaces, Inc.